MARDAN: At a revolutionary school in Pakistan, Durkhanay Banuri dreams of becoming military chief. 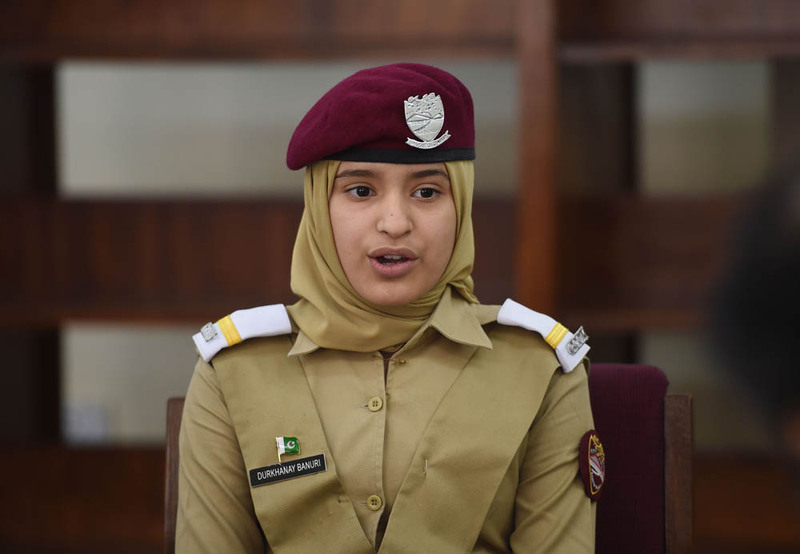 Thirteen-year-old Durkhanay, a student at Pakistan´s first ever Girls´ Cadet College, established earlier this year in the deeply conservative northwest, brims with enthusiasm and confidence as she sketches out her life plan. "I want to be the army chief," she tells AFP. "Why not? When a woman can be prime minister, foreign minister and governor of the State Bank, she can also be chief of the army staff ... I will make it possible and you will see." Durkhanay and her 70 classmates in Mardan, a town in militancy-hit Khyber Pakthunkhwa (KP) province roughly 110 kilometres (70 miles) from Islamabad, are aiming much higher. 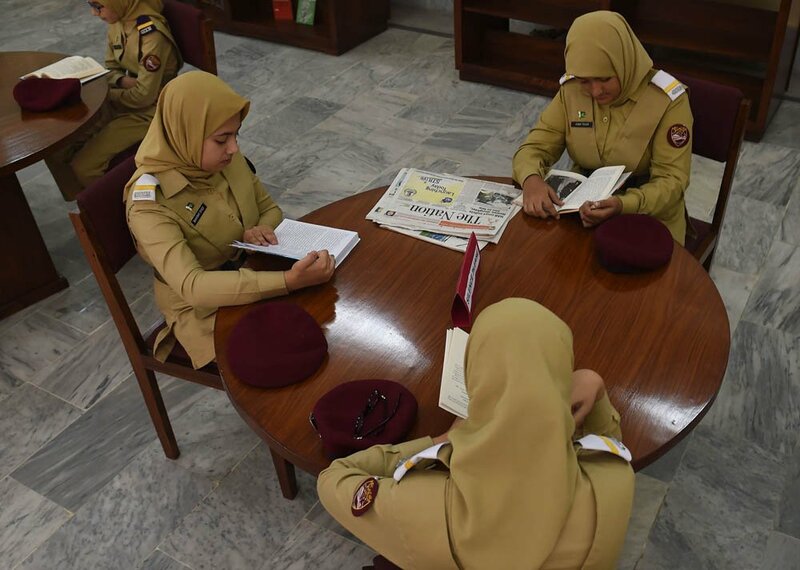 Cadet colleges in Pakistan, which are run by the government with officers from the military´s education branch, strive to prepare bright male students for the armed forces and civil services. Their graduates are usually given preference for selection to the army, which in Pakistan can mean their future is secured: they are likely to be granted land and will benefit from the best resources and training in the country. As a result such colleges play an outsized role in Pakistan´s education system, which has been woefully underfunded for decades. According to a 2016 government study, a staggering 24 million Pakistani children are out of school, with a larger share of girls staying home than boys -- 12.8 million compared to 11.2 million. Hundreds of boys study at the cadet colleges across the country. But girls are still not allowed in these elite schools, with the special college at Mardan the one exception. 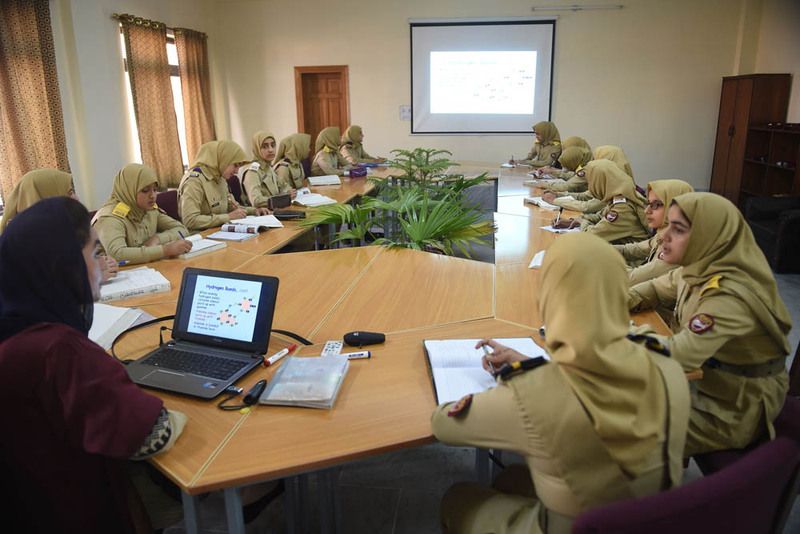 "Such colleges can help girls qualify to be part of the armed forces, foreign service, civil services or become engineers and doctors," said retired Brigadier Naureen Satti, underscoring their importance in the long fight for equality by Pakistan´s women. In starched khaki uniforms and red berets Durkhanay and her classmates march the parade ground, stepping to the beat of a barking drill instructor, before racing to change into physical training and martial arts kits. Previously women were only allowed to serve in administrative posts. But military dictator Pervez Musharraf opened up the combat branches of the army, navy and air force to women beginning in 2003. The military would not disclose how many of its members, which a 2015 Credit Suisse report said number more than 700,000 active personnel, are currently women. But a senior security official told AFP on condition of anonymity that at least 4,000 are now believed to be serving in the armed forces. He gave no further details, and it is unclear how far the women have managed to foray from their administrative past, though some have managed to become high profile role models -- including, notably, Ayesha Farooq, who in 2013 became Pakistan´s first ever female fighter pilot. 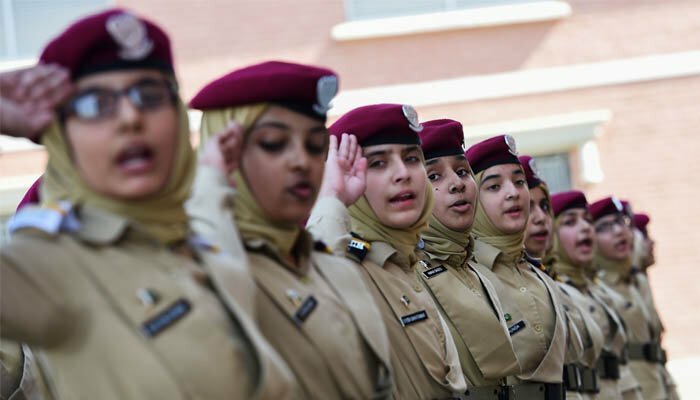 The Girls´ Cadet College principal, retired brigadier Javid Sarwar, vowed his students would be prepared for whatever they wanted to do, "including the armed forces". "I want these girls to avail their brilliance and fight injustices in society, and this is possible if they get a standard education," he told AFP, adding that plans are to induct a second batch of 80 girls from all over Pakistan by March next year. For 57,000 rupees ($540) each three-term semester, his students get room and board along with access to computers and the internet, a luxury for some Pakistani schools. It is a "game changer" in a region where religious conservative norms see many women keep some form of purdah -- confined to women´s-only quarters at home -- and "could only dream of coming out of their houses in the past", says college vice principal Shama Javed. Durkhanay and her classmates are confident the college will give them a fighting chance in Pakistan. Affifa Alam, who wants to follow Farooq´s path and become an air force pilot, said the college represents a "big change". "This will help us (in) realising the dream of women´s empowerment," she said.